Madderstone Abbey, 1806. When Penelope Lambe suffers a bad fall in Madderstone Abbey, some are sure she must have seen the Grey Nun, the ghost reputed to walk the ruins. 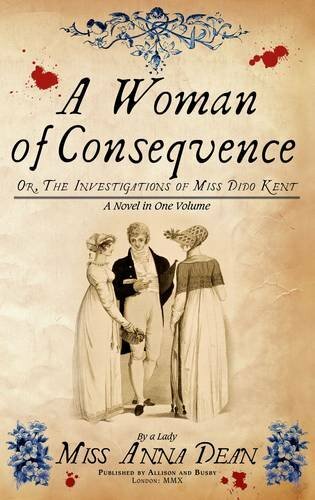 Miss Dido Kent is not convinced, and is determined to uncover the real cause of the accident. Then events take a sinister turn when a human skeleton is found nearby. The remains are identified as those of a Miss Elinor Fenn, and letters come to light which hint at the reason for her death. But is Miss Lambe's accident connected to this discovery? Did she see a ghostly warning? Or is there a rational explanation? Everyone is relying on Dido to find out.